In 1956, California artist Wayne Thiebaud took a leave of absence from teaching at Sacramento Junior College and moved to New York for the academic year. A skilled illustrator and cartoonist, the artist had developed a keen interest in art history and wanted to become a painter. 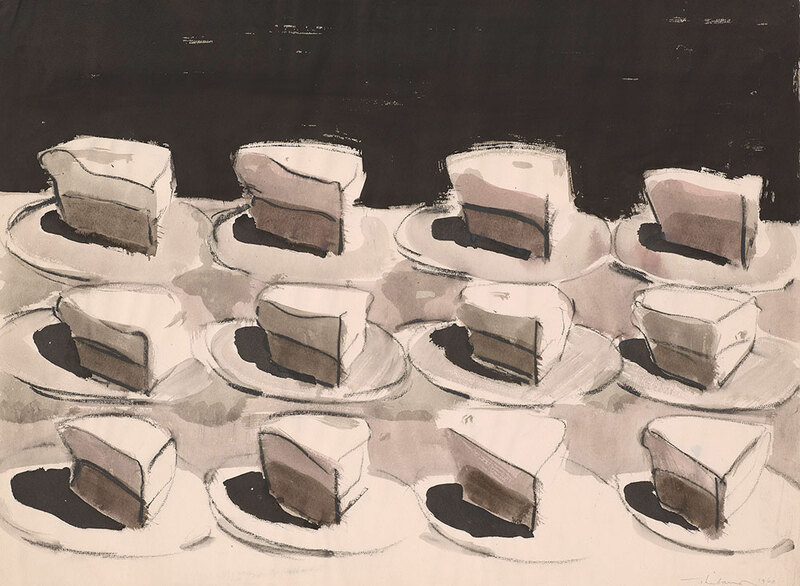 An exhibition at The Morgan Library & Museum, Wayne Thiebaud, Draftsman, highlights the artist’s sketches, pastels, watercolors, and charcoal drawings. Arriving in New York during the heyday of the Abstract Impressionists, Thiebaud sought out and befriended many of the leading artists and critics of the day, including Franz Kline, Elaine and Willem de Kooning, Barnett Newman, the critic Harold Rosenberg, Robert Rauschenberg, and Jasper Johns. As he recounted in an interview posted on the museum website, Thiebaud recounted how Willem de Kooning told him he should stop just copying artists like himself and find something he liked, “something that really means something to you that you’ve experienced.” He had tried all the techniques. While he made friends with Robert Rauschenberg and Jasper Johns, and others would compare his work with Andy Warhol’s, Thiebaud never identified with the rising Pop Art movement. His daily sketching practices kept him more firmly within an art historical lineage, a tradition that would deepen over time. In addition to cakes, pies, and other items on the dessert list, the Morgan exhibition includes the artist’s fascinating cityscapes, copied drawings of the masters, and sketches and pastels of an assortment of objects and people. The most fetching works, though, are of food, because these are the most delicious. 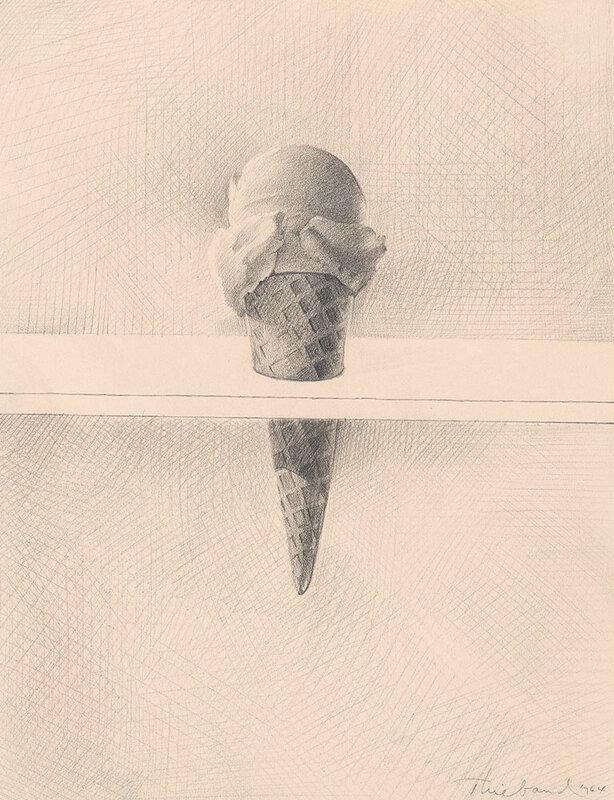 Ice Cream Cone (1964) is exquisite in technique. 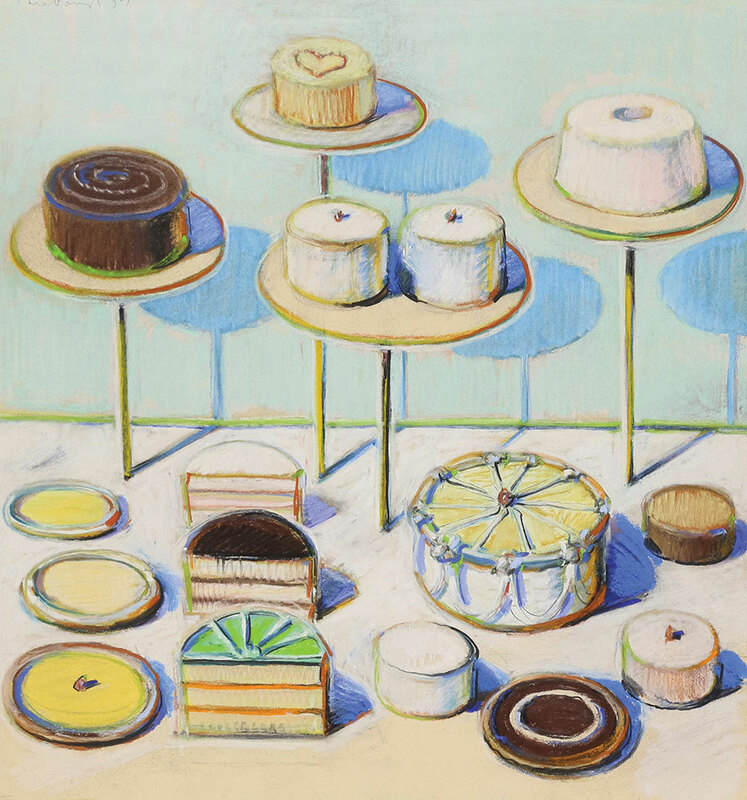 Thiebaud has expressed in several interviews over the years that he prefers everyday fare over fancier confections, the sort of place offering cakes with copious amounts of frosting. Wayne Thiebaud, Draftsman is organized by the Morgan Library & Museum, New York. The curator of the exhibition is Isabelle Dervaux, Acquavella Curator and Department Head, Modern and Contemporary Drawings, the Morgan Library & Museum. After the Morgan exhibition, thoughts may easily turn to food. Where in Murray Hill would there be a deli or confectionary displays that would please the artist? While New York is overrun with precious bakeries, a few old-school New York delis survive in the neighborhood. 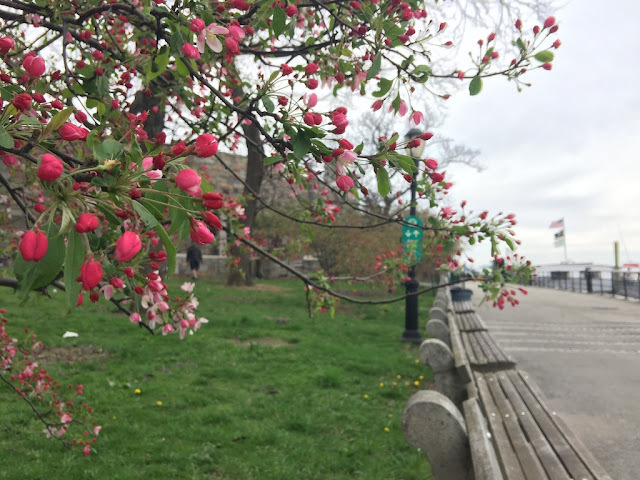 Walk to 3rd Avenue to find them. Sarge’s Delicatessen & Diner at 548 3rd Ave fits the bill. The food and decor there is fun to observe, comforting, and delicious. The restaurant is open 24 hours. 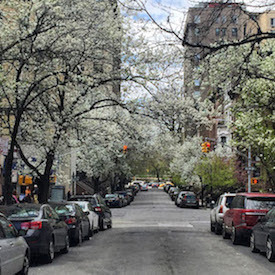 See related post, Strange Days: A Walk in Murray Hill.